Last edited by jimmyzimms on Tue Nov 04, 2014 4:43 pm, edited 1 time in total. Would prefer to see it remain the same. The MW4+ option is particularly ... odorous. Just seems yet another MW weapon in the game. Seriously, there is nothing wrong with a 3x 4+FF tank with a pile of shooting weapons. It's a FF support vehicle not a Titan killer. I like the current stats. I think it ended up at a good place. Could we have a minimal change option of 75cm AP2+/AT2+ - so a battlecannon with a big shell, as big as you get prior to being MW/TK/BP etc. The current stats are 75 cm AP3+/AT3+. 75 cm 2x AP4+/AT3+ change. -It's the smallest change comparing to the other suggestions. -It answers the one real issue of BB, which is; lack of long range firepower, mainly AT firepower. -It is perhaps closer to the fluff that says BB battlecannon's firepower is around "double" of the Leman Russ battlecannon. In retrospect the BP option probably is a bit too drastic and may have unforseen consequences. I've really come around on the idea of commissar holt's 2xap4/at3 option. To maybe sweeten the deal you could get ride of the autocannon stats. Fluff says the autocannon usually is used for tracer rounds for the main cannon and doesn't even fire live ammunition the majority of the time. So the extra shot on the main cannon and the minus autocannon would really round out the BB. Almost exactly twice the firepower of a leman russ and a little over three times the cost. And yes a good bit better than 3 LR in assault. 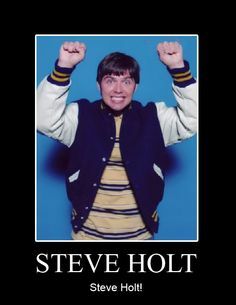 i also think holts idea is good! Like I said in the other thread, I've played them 3/4 time with basically these stats (4+/4+) with no complaints and one "nice to see the baneblades actually on the table and doing something." They basically become a slightly cheaper LR Co - which as I see one of the (small) issues with the IG list being the large cost Cos limiting the viable builds, this option made a nice option to try some different options.